Cape Canaveral...The Home of America's launch pad." Cape Canaveral is the home of the largest fishing fleets in Central Florida. Sport Fishing Anglers from all over the world come to Port Canaveral, Florida to sample the great saltwater sport fishing of the Florida Atlantic coast. The Port of Cape Canaveral is known as the safest port on the East Coast of Florida and offers some of the most diverse fishing opportunities anywhere. 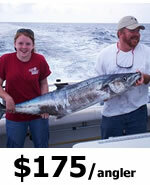 You can experience excellent offshore fishing charters along with inshore fishing charters. iOutdoor can arrange for an offshore trip for dolphin, Wahoo, Sailfish, Cobia, King Mackerel, Grouper, Snapper, Tuna, Amberjack, Sailfish and more. 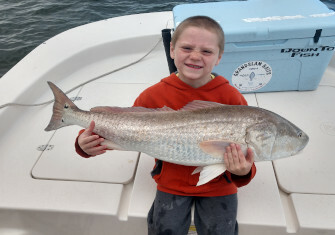 Our inshore fishing trips include searching for redfish, mangrove snapper, black drum, sea trout and even snook. Cape Canaveral is conveniently located to Orlando, Cocoa Beach, Merritt Island, Sebastian, Titusville, Dayona, Melbourne and the Kennedy Space Center. The Cape Canaveral Inshore fishing is one of the most popular thing to do in Cape Canaveral. With Bays, Beaches the Cape Canaveral area has a lot going on. 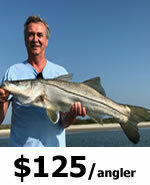 The fish caught inshore are redfish, snook, tarpon, sea trout, shark, cobia and others. Something everyone should experience once when visiting the area. 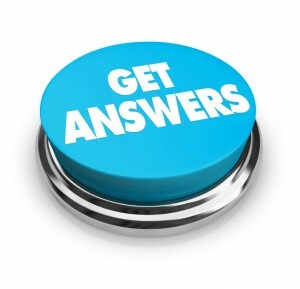 Read options below for all your choices in Cape Canaveral. 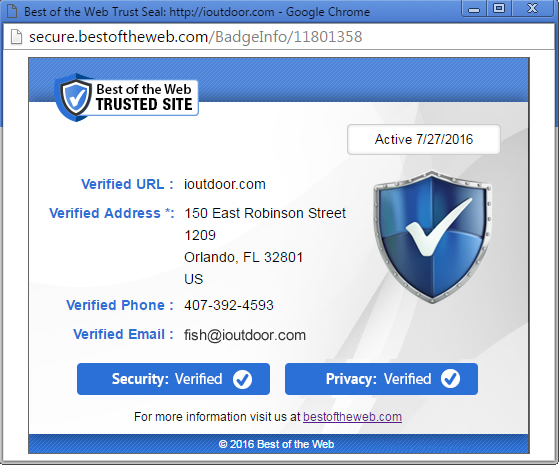 Search iOutdoor, Compare & Book the Best Cape Canaveral Fishing Charters Trip Today. All depends on the weather in Cape Canaveral, at least if you’re here it’s not snowing…lol. We will be on the look out for Kingfish, Mahi, Sailfish, and Blackfin Tuna offshore (if the winds allows) or Black Drum and Sheepshead inshore will be biting good. This is one of the prime inshore fishing months, and you stay protected from the rough seas offshore. The species of choice is going to be Redfish, Trout, and Black Drum. When the weather allows, go offshore for great bites from King Mackerel, Blackfin Tuna, Mahi, and maybe some early Cobia. March, everything starts to happen, everything is biting March in Cape Canaveral. 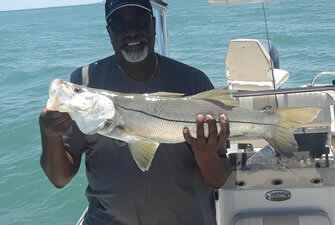 Inshore, you’ll find Snook joining Trout and Redfish, with Sheepshead on structure and Black Drum move in to the lagoon. Bluefish also show up on the beaches and Mahi Mahi are still biting offshore. Were casting to Snook around the Mangrove Islands and docks. Spotted Sea Trout on topwater in the morning and late evening. Offshore, Kingfish get closer to shore. But the Mahi Mahi and Amberjack move further out. 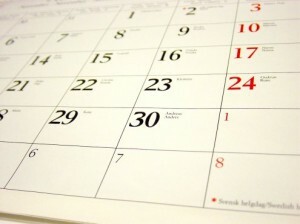 May’s a busy month, it’s all kicking off nearshore. Tarpon, Bonito, Spanish Mackerel, Jack Crevalle, and Kingfish are biting just off the beaches so near to go offshore if this is what you like. If Offshore is your choice, trolling for Blackfin Tuna, Mahi Mahi, and Wahoo is the pattern. June is peak fishing season in Cape Canaveral, expect the most boat traffic. But don’t let that deter you fishing is fantastic inshore and offshore! In July, you’ll find Tarpon and Kingfish swimming along the beaches. Inshore we can target Mangrove Snapper, Spanish Mackerel and a lot more. The offshore charters are fishing for Sailfish, Wahoo, and Kingfish. Is a billfish on your bucket list, this is a good place and time to check it off. Summer vacations and everyone is out enjoying the sunshine. Savor the best fishing by starting early in the morning, primetime for 4 hour charters. Catching Redfish, Trout, and Snook, with Tarpon moving inshore. Offshore, you can still catch Kingfish, Mahi, Wahoo, and some Cobia. It’s Bull Reds fishing time in Indian River, also the large Trout and Black Drum come in closer to home. Cobia are biting along the beaches and the offshore fishing is mostly limited to Kingfish and Amberjack. The weather begins to turn in Florida, cooler night start to bring lower water temperatures. This is great news for Wahoo and Sailfish, who prefer the cooler water temperatures. Offshore Mahi and Kingfish are still being caught, inshore the Bull Reds are spawning and easy to target. The wind does start to pick up, which can disrupt offshore charters. Don’t let that stop you, November is one of the best times to fish in Cape Canaveral Offshore or Deep sea reef fishing. Have no fear if the wind does blow, try catching a huge Bull Redfish with light tackle. It will leave you wanting another and another and another…! 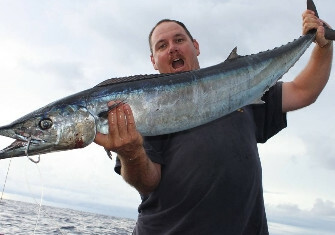 The big news in fishing December is the Kingfish run. This usually starts off around late November depending on water temps, if you haven’t experienced this it could be the most fun you can have on light tackle offshore. Inshore, look for Pompano and Black Drum near the beaches with occasional trout. 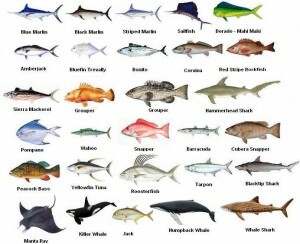 Species: Inshore species are seasonal including Tarpon and Snook. Pelagic species including Mahi-Mahi, Sailfish, Wahoo are as well! Call us at +1 (888) 412-1117 and let’s start planning your Cape Canaveral fishing charters! For additional CAPE CANAVERAL information be sure to go to Visit Cape Canaveral Florida.